For the 7th consecutive year the Briana Marie Cox Foundation participated in the Palm Beach Post Pathfinder Awards program. This year the Foundation awarded a total of $8,000 in college scholarships to five amazing high school seniors Wednesday May 13th at the Raymond F. Kravis Center for the Performing Arts. 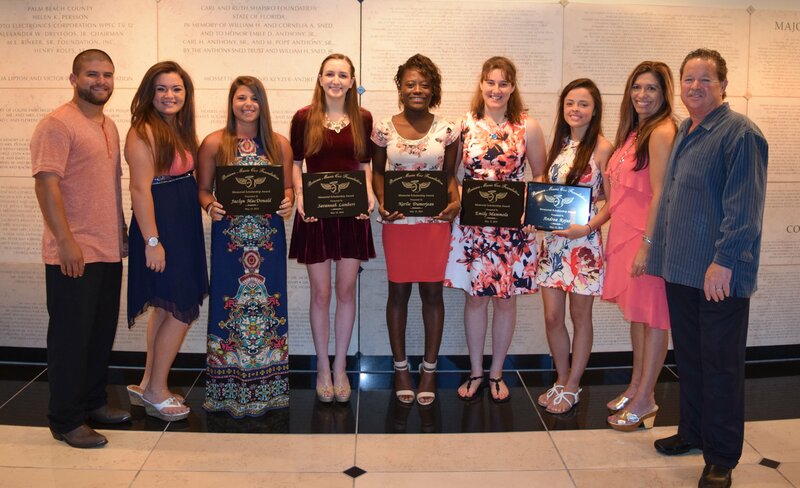 Congratulations to Savannah Lambert, Emily Mammola, Andrea Rojas, Nerlie Dumerjean, and Jaclyn MacDonald.